Seraphina Martin studied printmaking at the National Art School in Paris before moving to Sydney 30 years ago, to teach at the Sydney University Art Workshop, where she continues to teach today. Seraphina was the recipient of the Moya Dyring Studio at the Cite des Arts in Paris in 1988. There, she studied the Viscosity colour printing method at the Atelier 17 under notorious master printer William Hayter. 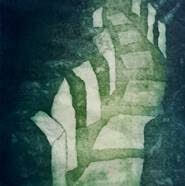 Since 1994 she has been developing non toxic technology called Solar Plate etching in her own art practise. A two day workshop on traditional and modern etching techniques using zinc plates and copper sulphate. Participants will learn how to prepare their plates, apply grounds, transfer a drawing, achieve tone using spray paint as an aquatint and experiment with stencils. By the end of the course everyone should have created a zinc plate with an image and have printed it intaglio ready for framing. Some materials will be provided. 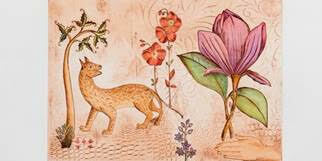 Amanda studied printmaking at Sydney College of the Arts graduating with a Bachelor of Visual Arts (Honours). She has been a printmaker for over twenty years, specialising in etching but also interested in Linocut, Dry Point and Collagraphy. Amanda has been a member of the Newcastle Printmakers Workshop for seven years and a committee member for six.